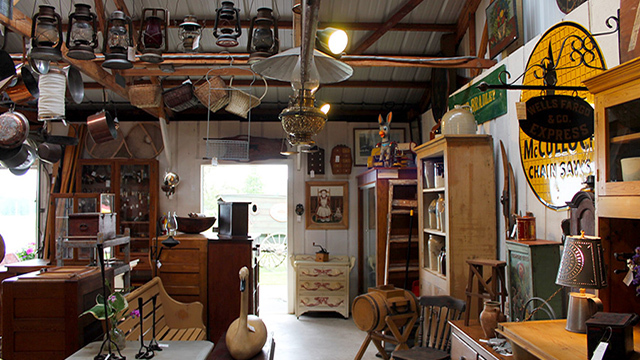 This Door County destination offer an extensive selection of antique Wisconsin furniture and accessories for your home or collection. Cupboards, game tables, dining, furniture, benches, dry sinks, ice boxes, book cases and other unique furniture. Antique accessories: stoneware, lamps, fish and duck decoys and lures, snowshoes, copper, stained glass windows, ice cream molds, door stops, granite ware and advertising. Ever changing inventory. Open daily May-Oct. Located next to Koepsels Farm Market.